AUBURN HILLS – Maybe it was as easy as better 3-point shooting all this while. 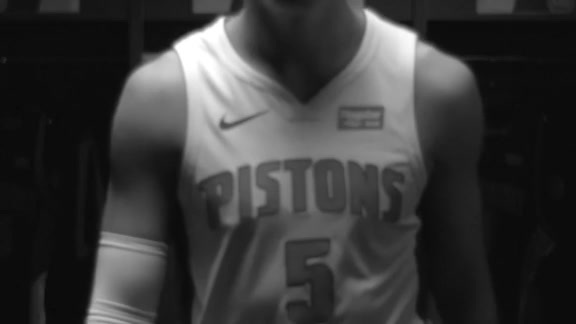 The Pistons have had a lot going on over the last nine games – getting Andre Drummond back and at his absolute best from concussion protocol; welcoming the reawakening of Reggie Jackson as he gets farther removed from the two serious leg injuries of the past two seasons; making two trades that shipped out two of their top eight players, Reggie Bullock and Stanley Johnson, for two less certain rotation staples. Less noticed, perhaps, has been the spike in their 3-point shooting and its effect on their offensive efficiency and its spillover effect on their defense. Through the season’s first 46 games, the Pistons ranked dead last in 3-point shooting at .332, 24th in offense (105.5) and 12th in defense (108.2). Over the last nine games, they’re 10th in 3-point shooting at .365, 16th in offense (111.3) and fifth in defense (106.4). It reinforces what Casey anticipated and others hoped all along – improving 3-point shooting was going to have positive ripple effects up and down the spectrum. Oh, they’re also 6-3 over those nine games and have moved back into playoff position, now a mere one-half game behind Charlotte for the No. 7 spot and 1½ games behind Brooklyn for the No. 6 spot. The Pistons got Ish Smith back in the middle of this nine-game stretch, giving the bench a fighting chance to win its share of starts to second and fourth quarters. That’s a huge difference maker for a team like the Pistons – and like the teams they’re fighting for playoff spots, teams that don’t have the same margin for error as the Golden States and Milwaukees of the world. The one overwhelming constant over both the first 46 and the last nine games is Griffin. His numbers in the 6-3 stretch are superb if virtually indistinguishable from all that came before it: 26.8 points, 8.0 rebounds and 6.3 assists while shooting .466 overall and .357 from the 3-point arc with a 113.7 offensive rating and a true shooting percentage of 58.3. Griffin’s production has been consistent – home or away, win or lose – from Game 1 through Game 55. Griffin thinks Drummond should be headed to Charlotte with him, a victim of the NBA’s habit of rewarding players from winning teams with All-Star berths. Drummond’s play has kicked up a notch in the eight games he’s played since coming out of concussion protocol. And Jackson’s play has kicked up two notches … maybe three. Andre Drummond – 23.0 points, 15.5 rebounds, 2.1 blocked shots, .679 shooting and .727 free-throw shooting on 5.5 attempts a game. His net rating is plus 9.3 with a 118.1 offensive rating and a true shooting percentage of .700. Reggie Jackson – 18.8 points, 6.2 assists. .950 free-throw shooting, .496 overall shooting and .483 from the 3-point arc. His net rating is 10.1 with an offensive rating of 119.3 and a true shooting percentage of .641. Those are All-Star numbers. And Casey says his defense has been every bit as noticeably improved. If all of that keeps up, the Pistons big three becomes a Pistons Big Three. The Pistons will face their share of challenges over the final 27 games. Sixteen of them will come on the road, for starters. Casey still has to figure out the most effective lineups now that Bullock and Johnson are gone and Svi Mykhailiuk, Thon Maker and Wayne Ellington have been added. But he’s liked what he’s seen lately and loves what he senses about the chemistry. He saw Thon Maker holding up his hands, wide open for a shot in Monday’s win, but the ball went to another shooter and the shot went in. 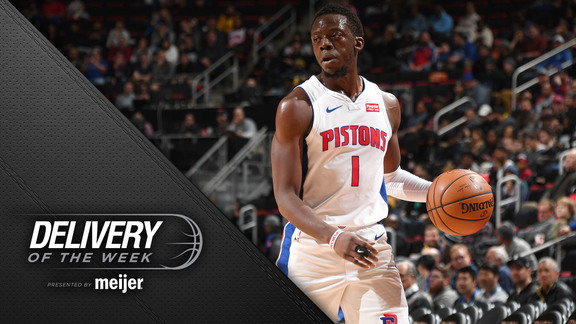 For the past three weeks, the Pistons have been a good team – a good 3-point shooting team that’s helped them become good offensively, which in turn has helped the defense ratchet it up another notch. They’ve gotten healthy and gotten their point guard back to being the guy who led the 2015-16 playoff charge. They’ve got one certifiable All-Star and a second player who wouldn’t look out of place at all if he’d gotten the call. You don’t have to squint very hard to see the first real evidence of Dwane Casey’s vision bearing fruit. And it’s made the sprint to the finish line that always characterizes the post-All-Star break portion of the schedule a lot more intriguing than it looked like it was going to be a few weeks ago.